The 18-hole Burning Tree Golf & Country Club in Macomb, MI is a private golf course that opened in 1958. Designed by Lou Powers, Burning Tree Golf & Country Club measures 6109 yards from the longest tees and has a slope rating of 119 and a 71. The 18-hole Cracklewood Golf Club in Macomb, MI is a public golf course that opened in 1989. Designed by Jerry Matthews, Cracklewood Golf Club measures 6538 yards from the longest tees and has a slope rating of 122 and a 70.4 USGA rating. The course features 4 sets of tees for different skill levels. The 18-hole Gold/Red at Bello Woods Golf Course in Macomb, MI is a public golf course. Gold/Red at Bello Woods Golf Course measures 6093 yards from the longest tees. The course features 2 sets of tees for different skill levels. 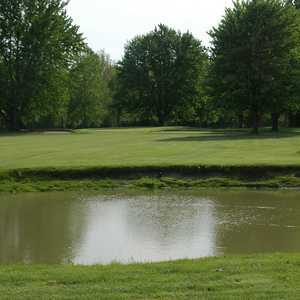 The 18-hole Hickory Hollow Golf Course in Macomb, MI is a public golf course that opened in 1963. Hickory Hollow Golf Course measures 6411 yards from the longest tees and has a slope rating of 118 and a 69.7 USGA rating. The course features 3 sets of tees for different skill levels. The 18-hole North/West at Sycamore Hills Golf Club in Macomb, MI is a public golf course that opened in 1990. Designed by Jerry Matthews, North/West at Sycamore Hills Golf Club measures 6334 yards from the longest tees and has a slope rating of 123 and a 70. The 18-hole Red/White at Bello Woods Golf Course in Macomb, MI is a public golf course that opened in 1970. Red/White at Bello Woods Golf Course measures 6201 yards from the longest tees. The course features 2 sets of tees for different skill levels. The 18-hole South/North at Sycamore Hills Golf Club in Macomb, MI is a public golf course that opened in 1990. Designed by Jerry Matthews, South/North at Sycamore Hills Golf Club measures 6291 yards from the longest tees and has a slope rating of 132 and a 70. The 18-hole West/South at Sycamore Hills Golf Club in Macomb, MI is a public golf course that opened in 1990. Designed by Jerry Matthews, West/South at Sycamore Hills Golf Club measures 6389 yards from the longest tees and has a slope rating of 130 and a 70. 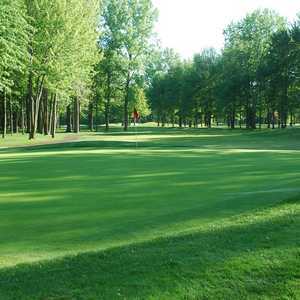 The 18-hole White/Gold at Bello Woods Golf Course in Macomb, MI is a public golf course. White/Gold at Bello Woods Golf Course measures 5738 yards from the longest tees. The course features 2 sets of tees for different skill levels.